To be eligible for recognition, each maintained an accident-free record for a minimum of one year from date of hire and completed the National Safety Council’s driving course. Pictured in the front row: Mike Tighe, Chuck Siefert, Kevin Ruth and Don Heydinger. 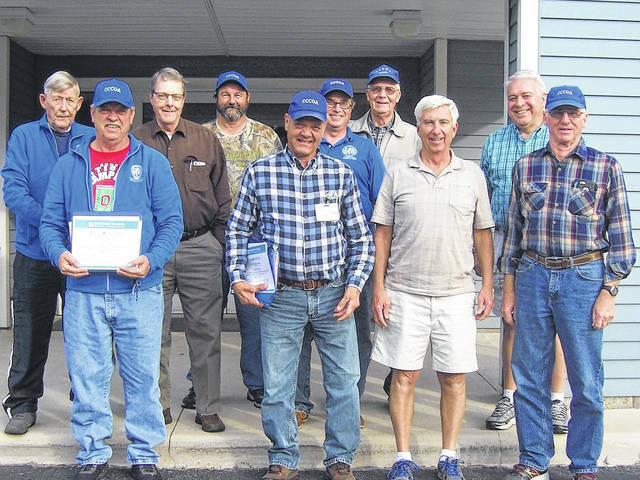 Second row: Jack Starcher, Don Neumann, Mike Browning, Dave Reffey, Richard, Gearhart and Sam Eichhorn.